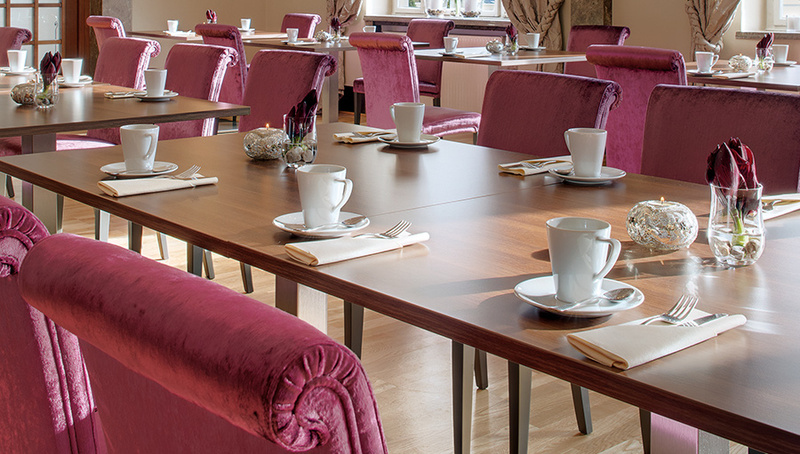 In the Red Salon, we serve our guests the Grand Hotel Sonnenbichl’s ample breakfast every morning. In Garmisch-Partenkirchen numerous sports and leisure activities await you in both summer and in winter. A tour through the historical old town is always recommended and visitors can stroll at leisure through the Christmas Market in the pre-Christmas season. Garmisch-Partenkirchen is known for its cultural events and each summer the Richard Strauss Festival attracts hundreds of music fans to this Bavarian town. The beautiful surroundings always invite visitors to go hiking, either with or without snow-shoes. Alternatively, they can explore the mountains on horseback. However, the most breath-taking view can only be had if you go paragliding. Ski-fans get their money’s worth in downhill or cross-country skiing and can watch the professionals ski-jumping on New Year’s Day. 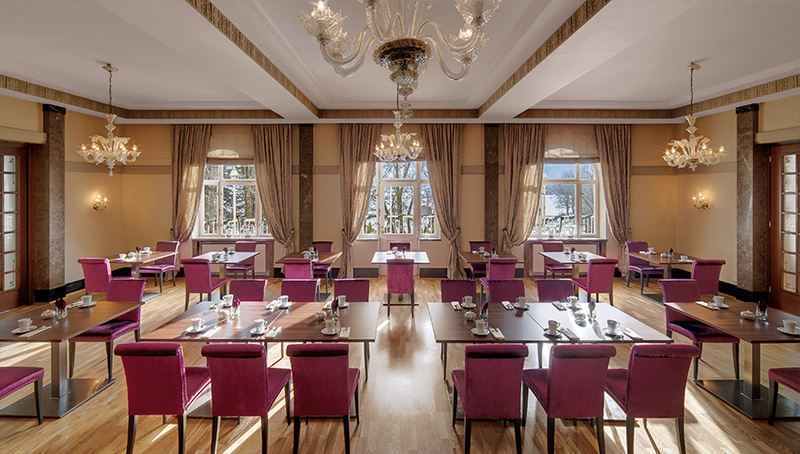 So that you are ideally prepared for all these activities and events, we serve an inviting breakfast buffet in our Red Salon at the Grand Hotel Sonnenbichl. Our breakfast buffet offers everything your heart desires, with a huge selection of sausages and cheeses and a generous assortment of fruit and vegetables for our guests. Naturally, we offer cereals and various milk dishes. Coffee, tea and several different juices are also available with warm and sweet dishes to round off the breakfast. If desired, egg dishes are also prepared fresh and brought to your table. In the summer months, we offer our guests an Oriental corner with halal dishes as well. At the weekend, guests can look forward to an exclusive champagne breakfast, which they can enjoy along with a spectacular view of the Zugspitze. The Red Salon actually has a generous window-front through which the morning sun shines and bathes the room in a warm light. The golden accents found in the entire Salon contribute to the rest of this morning “festival of lights”. In the evening, the tables and magenta chairs can be re-arranged to make room for events of all sorts.